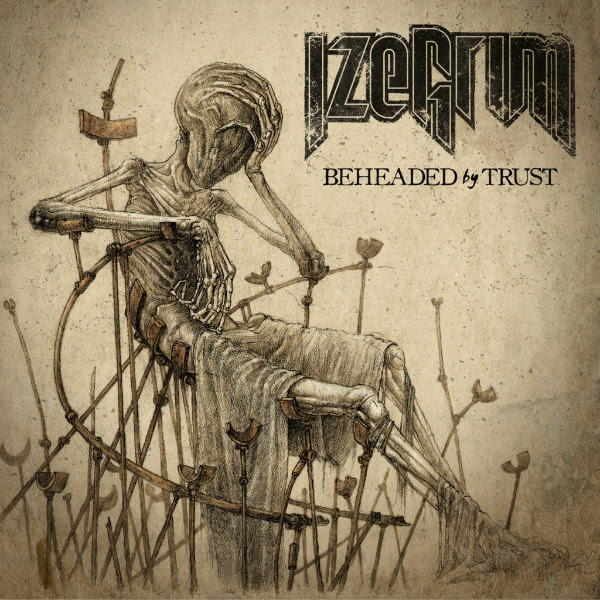 Dutch death thrash ragers IZEGRIM will release a brand new EP titled "Beheaded By Trust" on March 23. The four tracks were recorded, mixed and mastered in December 2017 at Kohlekeller Studio (ABORTED, BENIGHTED). The cover artwork was created by Kirill Semenov. The official lyric video for the "Beheaded By Trust" title track can be seen below. IZEGRIM vocalist/lyricist Marloes comments: "This title track of our new EP is all about violating the trust of a friend in the most brutal way you can imagine. In terms of vocals, I tried to crawl inside the skin of someone that got betrayed and raped by a friend. These were the most intense studio sessions I've ever experienced!" "Beheaded By Trust" is the follow-up to 2016's "The Ferryman's End", which drew a positively roaring press response worldwide and saw the band touring and sharing stages with the likes of FLOTSAM AND JETSAM, KREATOR, ANNIHILATOR, ONSLAUGHT and more. This brand-new EP is a huge step forward for IZEGRIM. The songwriting was taken to a whole new level, Marloes delivered her most brutal vocals yet and the mix by KohleKeller Studio is groundbreakingly heavy. Without the need for what IZEGRIM calls a "silly crowdfunding campaign" or "pricy meet-and-greet sessions," this release will see the light of day as an old-school DIY product. Straight from the band to the fans. This does not mean the collaboration with Listenable Records ended — on the contrary, this EP is a sneak peek of what's to come.